The Northern Fleet’s press service says the largest missile cruisers, long-range bombers, anti-submarine aircraft, helicopters and fighter jets took part in an exercise in the Norwegian Sea. 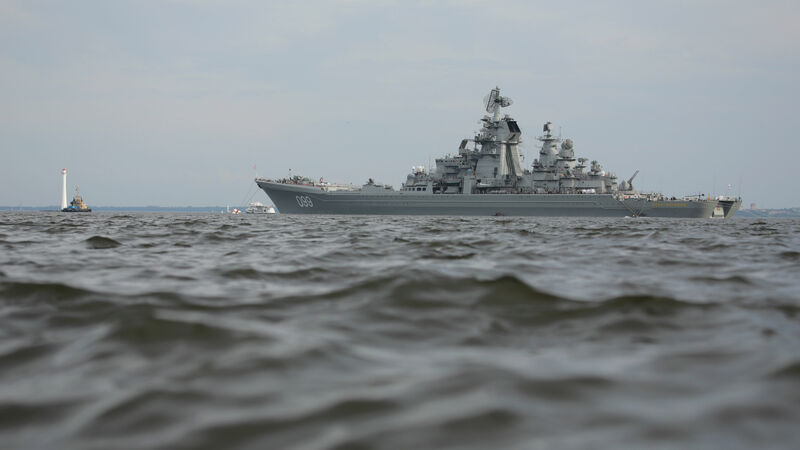 The Northern Fleet describes it as “strike forces”, the naval group that formed out from the Barents Sea and sailed south into the Norwegian Sea. “I can’t remember having heard of a similar or equally complex Russian exercise in this part of the Norwegian Sea,” says Kristian Åtland, Senior Research Fellow with the Norwegian Defence Research Establishment (FFI) to the Barents Observer. Åtland previously said the announced drill could be intented to send a signal to NATO that Russia is capable of expanding its bastion defence beyond the Barents Sea, conducting sea denial operations in the maritime spaces of northwestern Europe, all the way to the Greenland-Iceland-UK (GIUK) gap. Additional to the two warships, the Pyotr Velikiy nuclear-powered battle cruiser and the missile cruiser Marshal Ustinov a wide range of aircraft participated according to the information sent out by the Northern Fleet. 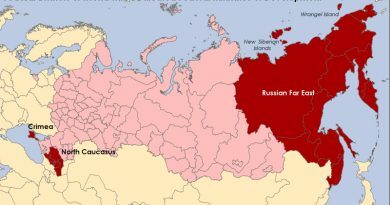 The planes came from air bases on the Kola Peninsula, in northwest Russia. At 5 am Norwegian time Thursday morning NATO scrambled F-16s from Bodø Air Base in Northern Norway to identify Russian planes outside Norwegian air space. 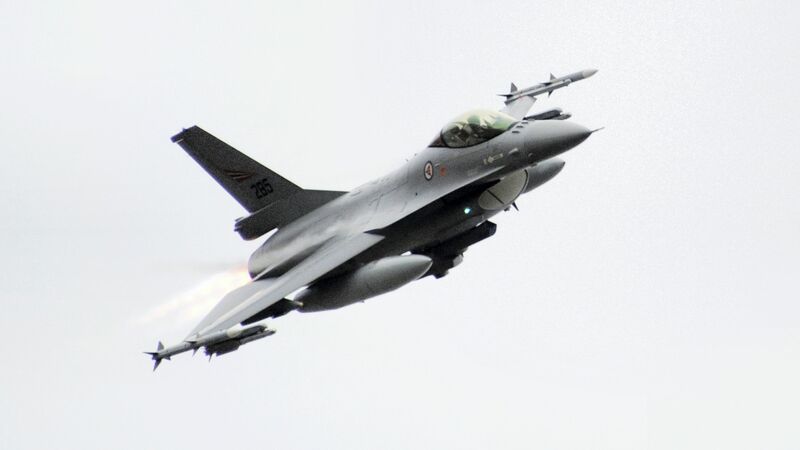 “We scrambled F-16s two times this morning and we see the Russian planes in connection with the activity in the area,” says press spokesman Sigurd Tonning-Olsen with the operational headquarters of the Norwegian Armed Forces. The second scrambling of F-16s was at 9 am. Russia’s exercise area was announced up front with warnings to shipping and aviation valid from April 11th to 14th during daylight hours. Tonning-Olsen says no live shootings have been observed in the area. Russia’s Northern Fleet tells in the press release that the first part of the exercise was conducted in the Barents Sea. “At the appointed time, a group of different strike forces of the Northern Fleet made the transition to the southern regions of the Norwegian Sea,” the press service in Severmorsk writes. During the transition, the forces conducted a training exercise hunting for submarines, organized air defence for the warships and made search- and rescue support. During the war games, the missile cruisers fought back an air attack from enemy forces. Combat calculations for shootings took place in the area announced, at air targets with air defense missile artillery and the AK-130 and AK-630 artillery onboard Pyotr Velikiy and with artillery systems onboard Marshal Ustinov, the Northern Fleet elaborates. Anti-submarine Tu-142 planes from the Kola Peninsula joined in and a pair of Tu-22M long-range supersonic bombers from Olenegorsk Air Base south of Murmansk flew to the exercise area. The bombers were escorted by MiG-31BM fighters all the way around from the Kola Peninsula to the Norwegian Sea northwest of Lofoten Islands. Due to the long distance, refueling took place mid-air supported by Il-78 tanker aircraft. At the end of the exercise, onboard Ka-27 helicopters from “Pyotr Velikiy” conducted rescue operation for assets in distress at sea. 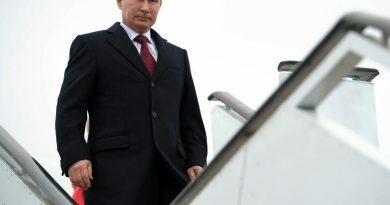 Russia’s military show-off outside Northern Norway comes only two days after Prime Minister Erna Solberg met President Vladimir Putin in St. Petersburg talking Arctic cooperation. The area northwest of Lofoten Islands was approximately as far north as US Navy aircraft carrier Harry S. Truman sailed last October in the final days before NATO’s large scale exercise Trident Juncture kicked off further south in Norway. 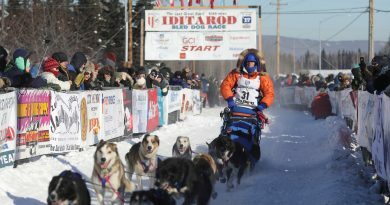 Hey Alaska, what would you ask Vladimir Putin?